Yes, this is the same story; also, it is not at all the same story. The contrast throws both Anna’s and zarf’s work into such high relief that it makes me grin. In addition to which, Robot Horse is possibly my favorite of Anna’s Twine work that I’ve played so far. 1) The first part of the game takes place as a conversation with an interrogator. The protagonist is describing how s/he broke into the present facility, but is in fact lying about critical pieces of information. The player thus has less information than the protagonist, though gradually certain peculiarities about the narration begin to hint at what’s really afoot. There are quite a few other instances of the unreliable narrator in IF, but this is one of the earliest and still one of the most effective. 2) The gameplay revolves around some beautifully implemented spy gadgets that can be plugged together to do all kinds of cool stuff. These are technically virtuosic and also demand a certain amount of virtuosity from the player. And the story instantly shifts to a new more frantic pace where the stakes are higher and now you’re not just re-telling what happened before, now you could conceivably get killed… It’s so great. SO GREAT. Finally — and the genius of this bit is disputed — the game ends with a final choice whose implications are left largely to the player’s imagination. Zarf is really fond of this kind of thing. The end of So Far has a yes/no question of ambiguous meaning, and players have spent large amounts of digital ink arguing about exactly what is meant by the ends of Hadean Lands and Shade, among others. Meanwhile, Spider and Web arguably provides the most human contact of any of Zarf’s games — you’re with the interrogator almost the whole time, as opposed to wandering in strange landscapes with occasional clusters of strangers you can’t really talk to (So Far), dying alone (Shade), being the sole functional survivor of a crash (Hadean Lands), wandering alone in the stars (Hoist Sail for the Heliopause and Home), exploring a deserted magic palace (The Dreamhold) or a conceptual space (Dual Transform) or a rainy landscape (A Change in the Weather). There are characters in Delightful Wallpaper, but they’re sort of on another plane of existence from you, and you can’t really regard them as friends and equals. Whereas the interrogator is more like your opposite number, and does have a strong emotional reaction to things you do. Of course, that still doesn’t make the two of you very close to one another at all. Some of the frisson I got when I finally escaped from the chair and ran away from the interrogator was the sense that I’d finally made an impression on the jerk: that our cold relationship was finally running hotter, even if in an unpleasant way. Like a child acting out to get the attention of a withholding parent, I took a perverse pleasure in the closeness of anger, no other form of closeness being available. Now, Robot Horse. Here is how it starts: you, a female outlaw given to crossing the desert on the eponymous robot horse, are buried up to your neck in the sand, and your lover/interrogator/enemy Di allows you a drink if you can lick the water trickling down her bare foot. It quickly emerges that you and she worked together to lift a huge stash of credits, which you then stole from her in an unprovoked double-cross maneuver. You hid the credits somewhere, and she wants to know where. Hence, the interrogation. She asks you questions, you lie to her a little (though, again, it’s not immediately obvious to the player that the protagonist is lying), you head off to retrieve the credits from where they really are, you have a final confrontation because she’s not that stupid, there’s a blow-out screaming match, and then the final, binary question: make out with her now? or not? So we keep the unreliable narration, and we keep the trick of “solving” some puzzles that are purely show for the interrogator’s information, and the general narrative arc of telling a back story and then going off on your own and then having a final showdown. The technical virtuosity of the Plotkinesque world model is gone: Robot Horse has a few sequences where you’re doing cunning things with robots and devices, but they’re straightforward to perform and don’t dominate the player’s attention; there’s a magician’s choice, as far as I could tell, in the endgame, where the player has several options about where to look for the stash of chips and all of them are correct, because hesitation would be narratively out of place at this point. The Chair Puzzle is gone. The text straightforwardly tells you that you’d been lying to Di as soon as you need that information. Instead the climax comes in a massive screaming match in which you’re both searching for the most long-winded and ridiculously over the top insults you can scream at one another, in a way prefigured by the game’s title. It also is great, because it’s fulfilling a narrative and emotional promise that’s been there all along. Meanwhile the human connection between interrogator and victim is turned up to 11. The primary stakes in Spider and Web are about whether you’ll survive and whether you’ll finish your mission. 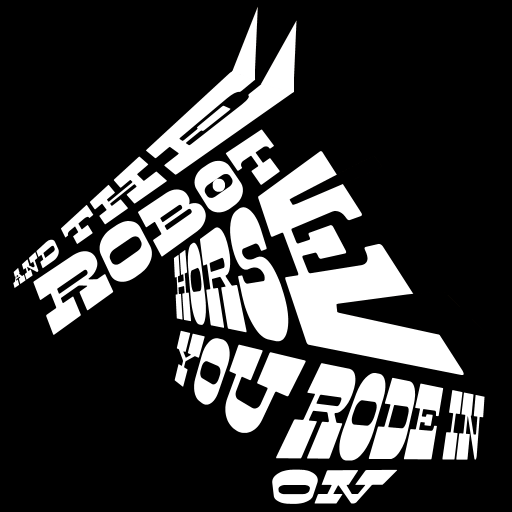 The primary stakes in Robot Horse are about your relationship with Di, and specifically about the sexualized power exchange between you. You may theoretically care about the credit chips but really, really the important thing is that question at the end: was this whole episode at least partly in fun, something that can be swallowed up by your relationship and end in a make-out session? Or is it a fatal break between you, and unforgivable? Have you hurt each other just enough, or too much, this time? At the same time, the plot is a little more complicated than in a number of Anna’s other works — Star Wench: Choose Your Own Death , obviously, being the extreme in only showing you a huge series of end-scenes from which you can only extrapolate what came earlier. Some of those vignettes, especially the real-time-short Queers In Love at the End of the World, get a lot of mileage out of their simplicity. But in Robot Horse, having more time and more incident in which to unpack our relationship with Di is quite satisfying. Is this “an admonishment of the hardline parser-based interactive fiction establishment”? Maybe. At least for me, it doesn’t displace my affection for Spider & Web, but it certainly offers an alternative, distinctly Anthropy-esque way of doing and thinking about interactive fiction, one that I also highly value. And it certainly does have style. In the Anna-verse, being admonished can be a lot of fun. This entry was posted in CYOA, interactive fiction, parser, Reviews by Emily Short. Bookmark the permalink. “Establishment” seems a bit of an, um, dramatic phrasing for something as slight — if tenacious — as the works-of or people-involved-in “parser-based interactive fiction” over the last couple of decades. A bit like if I talked about someone’s Emma/Arabella fanfic being an admonishment of the hardline Childermass/Norrell shipping establishment. Well, leaving aside the discussion of my own work… Any community clash is important if you’re inside the community, right? It has been a real generational shift in what we (perhaps laughably) call the IF community. The social group that Emily and I come from coalesced in the mid-1990s; we had a *lot* of solidified traditions and expectations around our practice of IF. When Anna Anthropy and Twine got prominent in 2009-10-ish, it really was a “someone outside the establishment” thing — and “the establishment” had been around for more than a decade. How well we navigated that shift, well, it’s still going on. People have reacted in a range of ways. I hope we come off as not assholes about it, taken as a group. Clash, eh? Hm. Perhaps I dipped in and out enough that I ended up seeing all this after the peak of any clashing, because at this point, from my position in “the IF community” as a freefloating player and occasional Inform dabbler, I see more reaction to the reaction, so to speak, than any of the original goings-on. I guess it’s just like… ey, scope! Perspective! Like, the framing of this just reminded me of something I see this in a lot of different places and a lot of different situations, where somebody will write commentary under the assumption that their own tiny corner of the world stands in for the whole of the thing. SOCIAL JUSTICE CELEBRITY JANE DOE DID A TERRIBLE THING, WHY ISN’T THE WORLD CRITICIZING HER — I’ll look and find out that Jane Doe is someone I’ve never even heard of but who happens to be prominent in the writer’s own Twitter network. GODDAMMIT, FEMSLASH FICS ARE ALL PWP, THANKS TO THE SEXUALIZATION OF WOMEN — except in my own fandom history, which included a few megafandoms, you had women complaining about the exact reverse. TBH it feels kind of alienating to me when [bloggers, commentators, people] discuss it in terms of some kind of Progressive Twine Versus Conservative Parser: The Interactive Fiction Battle Of The Ages!!! thing. On one level, I have firsthand experience that hyperlink-based interactive fiction was far more accepted and respected by the generically* conservative literary “establishment” even in the 2000s and that there are queer, trans POC who prefer parsers for a variety of reasons. On another level… mm, no, this turned into a babble and I shall refrain from leaking any further. tl;dr: perspective. Heck, forget The Whole World, even “IF community” includes people who get completely cut out of the conversation when it turns into Hyperlink Versus Parser. Though I was curious about Robert Yang’s reading, I was mostly myself interested in the difference between these individual artists’ work: while S&W is canonical parser IF, in the sense of being a game that people still frequently mention nearly 20 years after its release, I wouldn’t say that it represents what all parser IF is like, nor for that matter that Robot Horse defines all of Twine-ness. I do think it’s possible for one work to offer a decided artistic alternative to another even without delineating schools of creation — see also Curses and Mentula Macanus. I also would be pretty disinclined, on my own, to refer to the parser IF community as “the establishment,” because for most of the time it existed it seemed like a scrappy little niche group only just mustering the volunteer power to do the various stuff that it did. It came as a surprise to me when other people turned up who viewed it as exclusionary and that exclusion as a problem — like, until people said so in so many words, it did not occur to me that someone writing something other than parser IF would be distressed that the parser IF community might not be paying attention to them. Because why would they care? What did we have to offer them? Well, I was wrong about this. That said, I agree with zarf that the advent of a large number of Twine games in our competitions and shared blog spaces had a huge effect on the conversations that happened in those places, and introduced a lot of new ideas that hadn’t been there before. Anyway, yes. I totally agree this is not some kind of simplistic divide. A lot of authors are writing with both parser and choice-based systems now, depending on the project; there are an assortment of personal or confessional parser games; not all Twine games are especially personal or confessional at all; people of various identities are working in various forms. I don’t want to erase that, and I apologize if I seemed to do that. This piece of Anna is adorable. I love the story, I love the lesbic action, and I love the prose the most, but in no way this piece do the same a parser based can do, by far. However, isn’t awesome works could inspire other artist to make derivative works? Marvellous. I love both of these games AN AWFUL LOT, and it’s great to see them compared and contrasted like this. Awesome. Thanks for commenting — I’ll edit in a note above. I hope your Babycastles event went well! And yeah, I hope it was cool that a) I thought your game was great and b) I thought it was fun to compare with S&W regardless of creator intention. But also, it always kind of pleases me in a perverse way when people turn out to be totally wrong about what the author was trying to do. Part of the reason that I struggled with the research arm of academia is that I felt like so often it involved building these edifices of theory around what was intended by some guy who had been dead for 2500 years, and it all seemed so fragile and hypothetical. But, is it somewhat inspired by? or it is just a marvellous coincidence?